Your bachelorette party is not complete without these personalized shot glasses! Serve your signature shooter in personalized shot glasses with your girls. 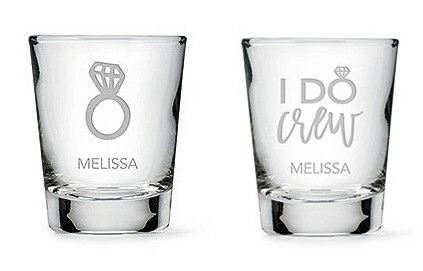 Each traditional shot glass can be engraved with an adorable ring and name, making them the perfect party essential or gift to celebrate your new status. A fabulous start to a memorable night, these custom shot glasses are must haves.